"ਓਏ ਗੁਰਾਇਆ! ਅੱਜ ਆ ਗਿਆ ਈ ਮੌਕਾ ਤੇਰੇ ਵਾਸਤੇ। ਦਿੱਲੀ 'ਚ ਪਾਰਟੀ ਖੜੀ ਹੋਣ ਜਾ ਰਹੀ ਹੈ। ਚਲ ਸਾਡੇ ਨਾਲ। ਐਵੇ ਤਰਲੇ ਮਾਰਦੈ ਰਹਿੰਦੇ। ਹੁਣ ਲੋਹਾ ਗਰਮ ਈ।"
ਅਾਹ ਦੋ ਬੰਦਿਆਂ ਦਾ ਅਾਪਸ ਵਿੱਚ ਕੀ ਰਿਸ਼ਤਾ ਹੈ, ਸ਼ਾਇਦ ਬਹੁਤ ਸਾਰੇ ਲੋਕਾਂ ਨੂੰ ਪਤਾ ਨਹੀਂ ਹੋਵੇਗਾ, ਇੱਕ ਨੂੰ ਤਾਂ ਤੁਸੀਂ ਜਾਣਦੇ ਹੋ, ਫਿਰ ਦੂਜਾ ਕੌਣ ਹੈ..?ਇਹਨਾਂ ਦੇ ਅਾਪਸੀ ਸੰਬੰਧ ਨੂੰ ਜਾਨਣ ਲੲੀ ਸਾਰੀ ਪੋਸਟ ਧਿਆਨ ਨਾਲ ਪੜ੍ਹਨਾ ਤੇ ਸਮਝਣਾ। ਲਗਭਗ ਸਭ ਨੂੰ ਇਹ ਤਾਂ ਪਤਾ ਹੈ ਕਿ ਕੇਜ਼ਰੀ ਸਾਬ੍ਹ ਅੰਨਾ ਅੰਦੋਲਨ ਵਿੱਚੋਂ ਨਿਕਲ ਕੇ ਸਾਹਮਣੇ ਅਾੲੇ ਸਨ, ਪਰ ਸ਼ਾਇਦ ਬਹੁਤਿਆਂ ਨੂੰ ਇਹ ਨਹੀਂ ਪਤਾ ਕਿ ਅੰਨਾ ਅੰਦੋਲਨ ਵਿੱਚ ਕੇਜ਼ਰੀ ਸਾਬ੍ਹ ਨੂੰ ਲੈਕੇ ਕੌਣ ਆਇਆ ਸੀ ਤੇ ਨਾ ਹੀ ਅਸੀਂ ਅੱਜ ਤੱਕ ਜਾਨਣ ਦੀ ਕੋਸ਼ਿਸ਼ ਕੀਤੀ ਹੈ..? 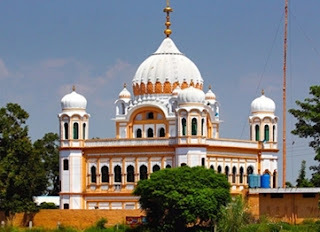 ਕੇਜ਼ਰੀ ਸਾਬ੍ਹ ਨੂੰ ਤਾਂ ਆਪਾਂ ਜਾਣਦੇ ਹਾਂ ਤੇ ਦੂਜੇ ਦਾ ਨਾਮ ਅਜੀਤ ਕੁਮਾਰ ਡੋਵਲ। ਹੁਣ ਸਵਾਲ ਇਹ ਹੈ ਕਿ ਅਜੀਤ ਡੋਵਲ ਕੌਣ ਹੈ...? In late 2010, the RSS was forced onto the defensive after one of its leaders, Indresh Kumar, was charged as a conspirator in the 2007 bombing of a Sufi shrine in Ajmer. The organisation responded with massive protests in defence of Kumar, and also of Pragya Singh and Aseemanand, two RSS-linked activists charged in relation to the Ajmer blast and two other bomb attacks between 2007 and 2008. In April 2011, the VIF organised a two-day seminar on “black money.” The attendees included Doval and Gurumurthy, the god-man Baba Ramdev, the social activist Anna Hazare, the anti-corruption campaigner Arvind Kejriwal, the politician Subramanian Swamy, the retired police officer Kiran Bedi and the RSS pracharak KN Govindacharya. Soon afterwards, Hazare and Ramdev began much-publicised fasts against corruption, accusing the ruling government of having abetted it. These sparked a massive protest movement that proved disastrous for the government, and provided the BJP, the RSS’s electoral offspring, with a crucial platform for its successful 2014 election campaign. Kejriwal, Swamy, Bedi and Govindacharya were all among the movement’s leadership. When questioned about links between the movement and the VIF, Doval told the Indian Express that “we had no role” in the agitation. But, he said, “Corruption and black money are draining India. We not at all feel defensive about talking about these issues.” Doval denied that the organisation was connected to the RSS. After the BJP-led coalition won the general election a few months later, speculation about the NSA post settled on a handful of candidates: Kanwal Sibal, the former foreign secretary; Subrahmanyam Jaishankar, India’s ambassador to the United States; Hardeep Singh Puri, formerly India’s representative to the United Nations; and Doval, acknowledged as the favourite. Doval assumed office in late May. Shishir Gupta, reporting the appointment, wrote, “Trusted by Sangh Parivar, finance minister Arun Jaitley and home minister Rajnath Singh, Doval has also worked behind the scenes for Modi and the BJP since his retirement from IB.” Swaminathan Gurumurthy tweeted that Doval “is the contemporary version of chatrapati shivaji and [Bhagat] Singh”—both beloved of Hindu nationalists. Two other members of the VIF were appointed to serve under Modi too. The retired civil servant Nripendra Misra became the principal secretary, and PK Mishra, a principal secretary to Modi during his reign in Gujarat, became an additional principal secretary. Between them, the former VIF men now occupy three of the highest positions in the prime minister’s office. 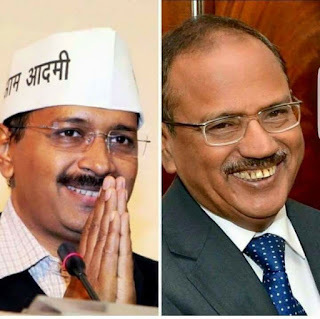 Doval maintained a connection with the VIF. “At some point in 2014, one of the senior members at the VIF was being badly treated” by his peers in the BJP, a security analyst familiar with the think tank told me. “He kept complaining to Doval. And one fine day, Doval landed up at his office and sat there for an hour or so. ‘These guys watching you and troubling, they will get the message that you are close to the PMO,’ he told the person. The harassing did stop after that.” The episode reinforced Doval’s reputation for loyalty to those close to him. A former ambassador also told me that Doval is known as a “doston ka dost”—a true friend. “In theory it has a hotline to the NSA,” a strategic analyst at a Delhi think tank told me of the VIF, adding that the organisation is a port of call for many foreign delegations. Doval’s sphere of influence is enhanced by his links to the VIF, and also to the India Foundation. In 2015, the Economic Times reported that the India Foundation hosts weekly “closed door sessions on high policy issues.” The organisation has arranged gatherings of foreign ambassadors, hosted foreign dignitaries, and helped organise events on Modi’s foreign visits, including his rally in New York’s Madison Square Garden in 2014. One bureaucrat I spoke to compared the foundation with the National Advisory Council of the previous government. Shaurya Doval remains one of the India Foundation’s directors, even as he leads Indian operations for Gemini Financial Services, an investment fund chaired by a Saudi prince. The Economic Times report called him “an increasingly influential player in shaping Modi Sarkar’s policy thinking.” Ram Madhav, also an India Foundation director, is now the BJP’s national general secretary. On the list of directors alongside Shaurya and Madhav are the cabinet minister Suresh Prabhu, the ministers of state Nirmala Sitharaman [now the defence minister], Jayant Sinha and MJ Akbar, and other heavyweights linked to the BJP and the RSS. On foreign policy, a defining factor in Doval’s reach has been the equation between him and the foreign secretary, Subrahmanyam Jaishankar. As the ambassador to China and then the United States, Jaishankar received Modi on several official trips, including his first visit to the United States as prime minister. Modi removed the incumbent foreign secretary to make room for Jaishankar in January 2015, and granted him a year-long extension on his two-year term early this year. Numerous people familiar with the ministry of external affairs told me that Modi’s great confidence in Jaishankar makes him the most powerful foreign secretary in a long time. Some of Doval’s detractors told me Jaishankar might replace him as the NSA if Modi is re-elected in 2019. Doval, who holds the rank of a minister of state, is officially a superior of Jaishankar’s, a ministry secretary. But while Doval is Modi’s NSA, “it is his lack of foreign policy experience and his inability to move beyond the ‘tactical’ that had created a void which Jaishankar will now fill,” the journalist Siddharth Varadarajan wrote at the time of the foreign secretary’s appointment. In government circles, Doval has been nicknamed the daroga, or station-house officer, of South Block—the premises of the ministry of external affairs and the prime minister’s office. Another nickname making the rounds is “National Security Advisor (Pakistan)”—an insinuation that Doval’s understanding of other countries is non-existent. This is an extract from “Undercover,” the cover story for the September 2017 issue of The Caravan, by Praveen Donthi. The full story is available here.